Thank you for visiting our blog and homepage. 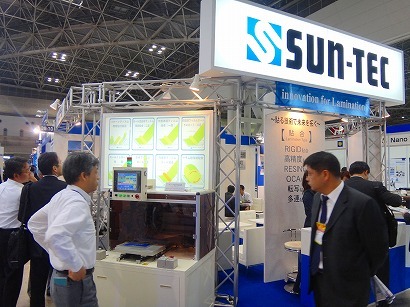 We had a booth in FINETECH JAPAN in the last week (From April 11th to 13th). We had very exciting 3days for meeting many visitors. There are many visitors from all over the world. We talked many visitors and had a lot of questions. We will try to contact you and discuss more. And also please contact us anytime. Our mottos are " We can do it!" and "Innovation for LAMINATION"
We try to help your manufacturing with our very best.